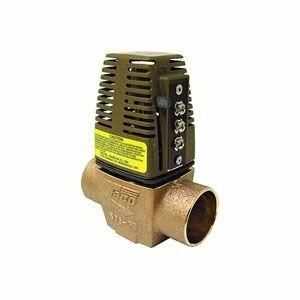 Taco Heat Motor Zone Valves provide a convenient way to create individual zones or equipment isolation in a hydronic heating system. Utilizing one pump along with multiple zone valves, flow can be started, stopped, or diverted through the system to provide individual room or area comfort control and energy savings. 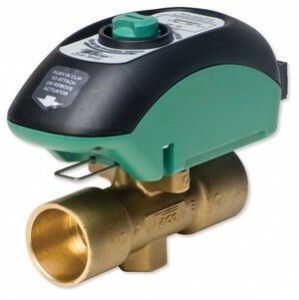 Taco offers many versions and sizes of the Heat Motor Zone Valve to meet all your zone valve needs. The Taco Zone Sentry® Zone Valve enhances the overall performance of any zone valve system. The unique patented technology in the Zone Sentry® utilizes a microcircuit based logic to control a gear driven electronic actuator which drives a ball valve based body design. All this adds up to a zone valve that leads the industry in energy efficiency, flow capacity (Cv), shutoff pressure rating, ease of installation, diagnostic capability and the number of valves (12) that can be use on a standard 40VA transformer. The Taco Zone Sentry® zone valves are available in sweat, threaded and 3-way configurations.